MoreBeer.com Coupon Code Description: Use the More Beer promo code BEERDEAL and Save $15 On A Micro CO2 Regulator with this MoreBeer.com Promo Code. Click the link to take advantage of this More Beer limited time promo code offer. This is a limited time and limited quantity promo code and items commonly sell out very quickly! This Mini CO2 Regulator Kit has everything you need to pressurize your keg on the go. It comes with a mini regulator, CO2 cartridge, and quick disconnect. A portable mini-regulator with all the features of a full sized regulator! Perfect for parties and gatherings where you don’t want to haul around a large canister and hoses. A lot of great features packed into a very small package. This mini CO2 homebrewing regulator has a range of 7-21 psi. It utilizes a disposable 74 gram CO2 cartridge, which is the largest size that can be shipped full. This is a two stage mini-regulator, meaning that it takes the pressure down from 800psi (cartridge pressure) to a lower pressure and then to your set pressure of around 10psi. Two stage regulators are the only way to have consistent pressure. One 74 gram cartridge will typically dispense one 5 gallon keg. Coupon Code Description: Right now at More Beer, you can save 12% on all of their all grain and extract home brewing beer kits for their 12 Days of Christmas Sale! You will also get FREE SHIPPING on any order over $59. So this is a great time to stock up on your home brewing beer kits! 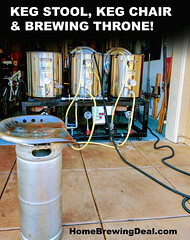 Coupon Description: Save 10% On A Mark Keg and Carboy Washer during the MoreBeer.com Labor Day Sale! 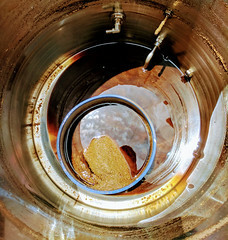 The keg and carboy washer is designed to clean and sanitize large vessels like home brewing kegs and homebrew carboys. 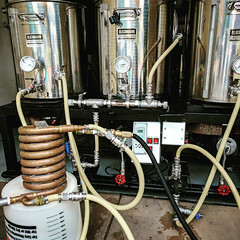 This homebrewing keg cleaner is also intended to provide a sanitation container for miscellaneous items such as airlocks, thermometers, tubing, keg fittings, and more. 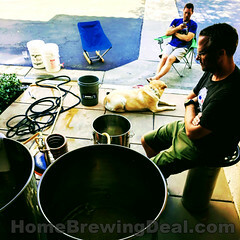 Save 10% At MoreBeer.com On Over 50 Homebrewing Products! Coupon Description: More Beer is having a giant summer time sale and if you act now you can save an additional 10% on some of their most popular home brewing keg, growler and draft beer items! Make sure that you use the MoreBeer.com promo code SHARE10 at checkout to take advantage of this 2 day More Beer coupon. There are over 50 items eligible for this MoreBeer promotion. 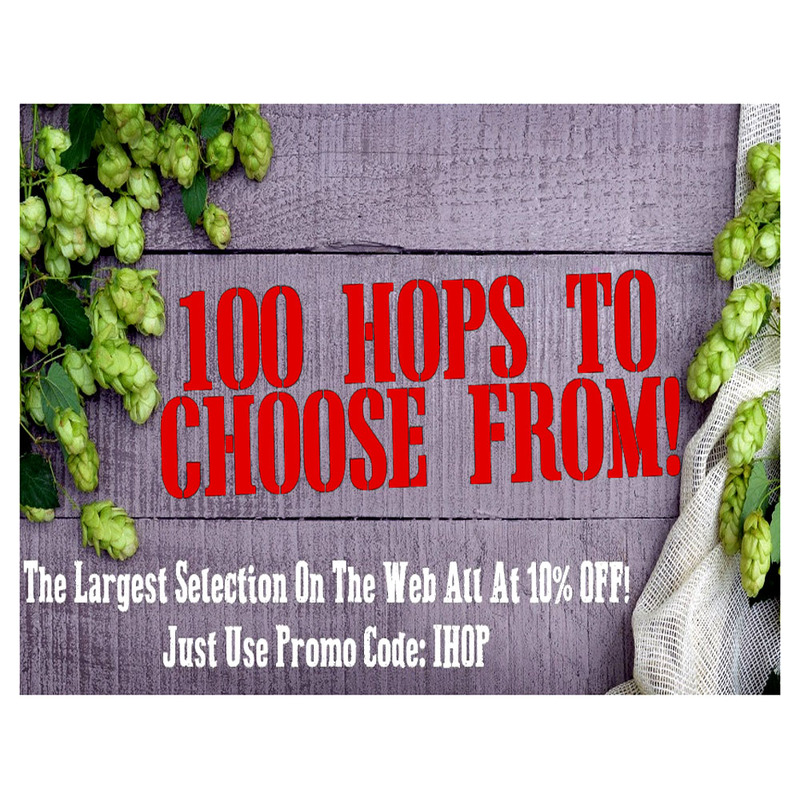 Coupon Description: Use More Beer promo code IHOP at check out and save 10% on their entire selection of hops. More Beer has the widest selection of hops available and offer free shipping on orders over $59, so if you need more bitterness in your life, this is the sale for you!